John V. Daniel, Jr. Post 2813 V.F.W. 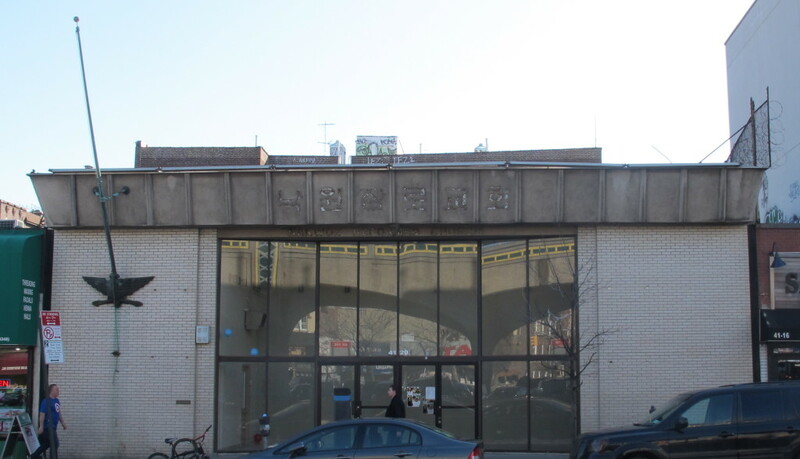 Abraham Harold Salkowitz, known professionally as A. H. Salkowitz (November 17, 1908 to January 7, 1998) was an American architect, active throughout New York City, especially Queens and Long Island. He was known for residential and commercial architecture, designing more than 10,000 housing units and more than two dozen early shopping centers. Born in the Bronx, he attended school at Hebrew Technical Institute, New York Building School, and City College, and studied architecture at New York University, although he left without completing his degree . He worked for Queens-based architect Joseph Unger opening his own firm in 1936 . 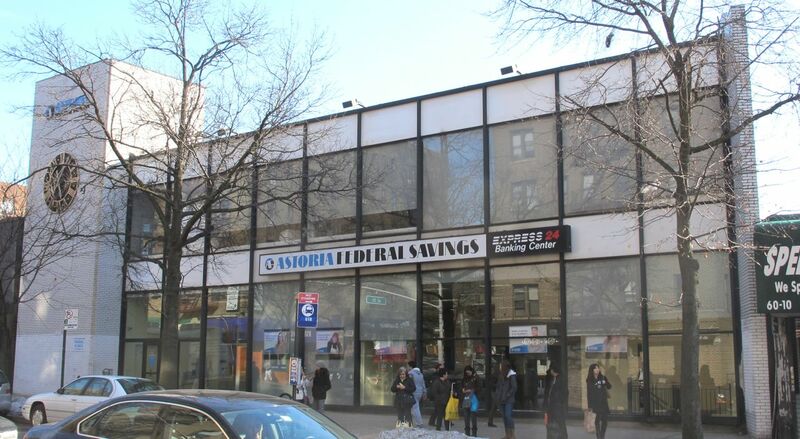 Originally based in Jackson Heights, the firm was based from the early 1950s until the late 1980s in the Cedarcroft, a residential building Salkowitz designed in Jamaica, Queens . 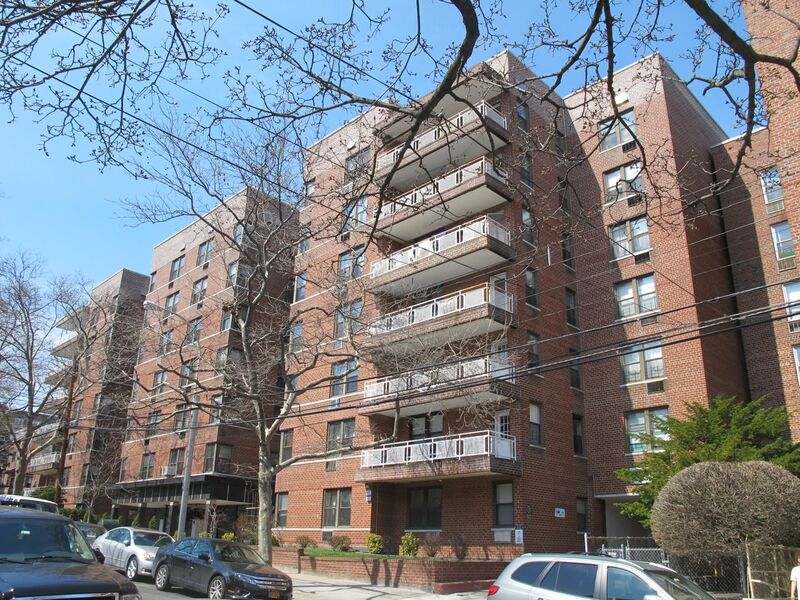 His work through 1950 was primarily single family homes in at least 10 Queens neighborhoods. In 1950 planning began for several shopping centers, including most notably the $10 million, 45-acre Levittown Center, the largest shopping center on the East Coast at the time . The complex was created by the partnership of Irving Berger and Gilbert Tilles, early shopping center developers who built more than a dozen sites on Long Island including at Commack, Lake Ronkonkoma, South Farmingdale, Huntington, and Brentwood. All were designed by Salkowitz. He is quoted referencing his work on Long Island saying, “I came to Queens, and worked for someone in those days, in 1927. I never left Long Island. As farmers gave up land and the developers came behind them, I followed, from Astoria all the way east.” . Later in the 1950s and 1960s, Salkowitz started designing more large scale residential complexes including Sea Coast Towers in Brooklyn’s Brighton Beach neighborhood, and culminating in North Shore Towers, three 34-story towers with 1,844 apartments, an 18-hole golf course, a 3,000 car underground parking garage, and its own power plant. Following the long tradition of developing residential complexes on previously recreational land, North Shore Towers was built on the site of Glen Oaks Country Club. Salkowitz was active in the Queens Chamber of Commerce Buildings Awards program and received eight commendations from 1959 to 1968, as well as other awards into the 1970s. 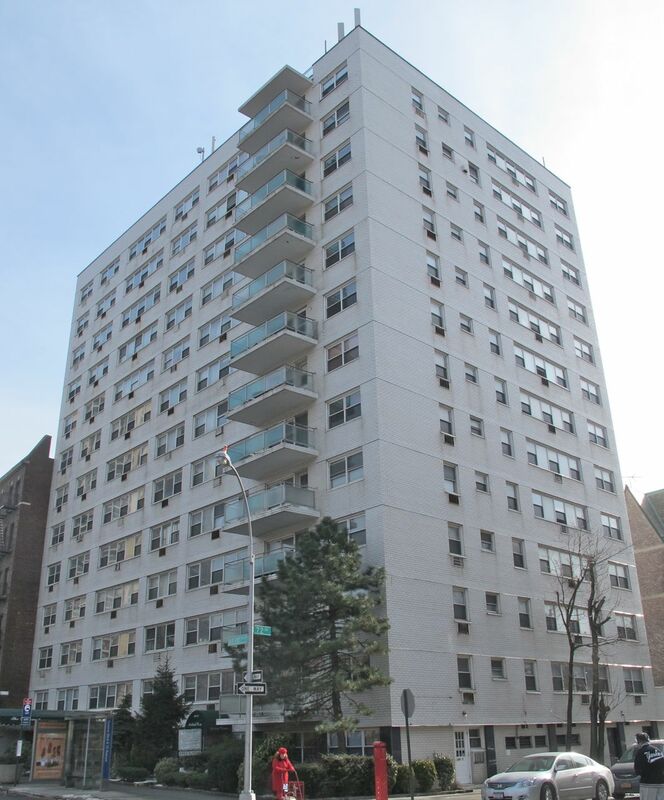 These awards ranged from two Forest Hills apartment buildings, the Diplomat and Warner House for developer Irving Warfield; two shopping centers; Howard Park General Hospital; and Bayside Jewish Center. The synagogue, completed possibly through a connection with the Muss family of developers, was one of two known temples he designed, the other being his home temple of Beth Shalom in Roslyn Heights on Long Island . Salkowitz closed his firm shortly before his death in 1988 and projects were taken over by Carl Heimberger, an architect who had been with Salkowitz since immigrating as a teenager from Germany . Heimberger ran Salkowitz’s drafting studio and was responsible for North Shore Towers’ design, among other projects . Although relatively unknown today, Salkowitz’s impact on the development of Queens and Long Island is apparent; his embrace of the postwar suburban boom led to the creation of housing and retail for thousands and the much of the Long Island we know today. Salk, Ira. Phone Interview. 4 May 2017. American Institute of Architects membership application, 1 March 1945, AIA Historical Directory. Narvaez, Alfonso A. “Gilbert Tilles, 73, Arts Center Donor And Builder on L.I.” The New York Times. 16 November 1990. Web. “Architect Abraham Harold Salkowitz.” Tower Times. June 2015.